I would have done it differently. Yeah, I think that is a good way to start this post. But everything makes more sense in hindsight. 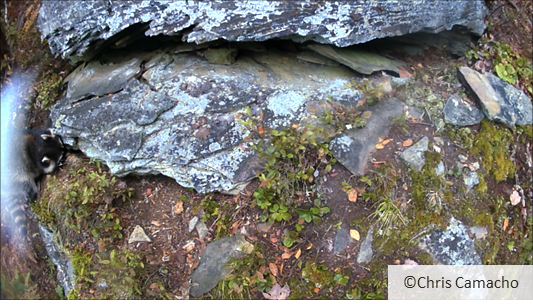 Let me supply the background: The idea was to set up field cameras in front of den sites and observe timber rattlesnakes while they were returning back to their dens. We would also record environmental temperatures outside of den sites via iButtons. Once again, I would team up with fellow colleague Tom Radzio, and for this project we would also get some amazing help from undergraduate Tommy Cerri. We would correlate timing of rattlesnake ingress and environmental temperatures. But there is evidence that rattlesnakes don’t just dive into the den and say goodnight; they hang out in front of the den for a few days and mingle with one another, hear stories about each other’s summer vacations, and bask in the few remaining days above 10 °C. The cameras would capture these behaviors in relation to environmental temperatures. The cameras don’t have audio capabilities, so we are not able to capture the stories of summer vacation, but you’ll just have to take my word on this fact (#nottrue). While relaxing in front of the den and basking in the fall sunlight, the snakes may expose themselves to potential predators. 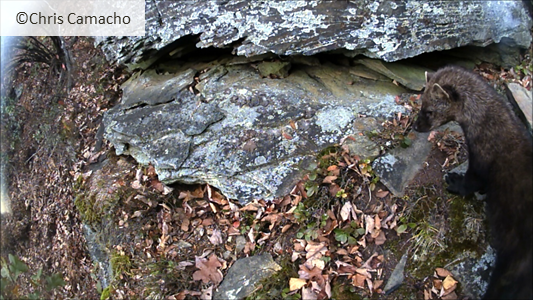 A colleague, Chris Camacho, captured some fantastic pictures last fall showing that predators do in fact visit these den areas (check out more of Chris’ fantastic photos). 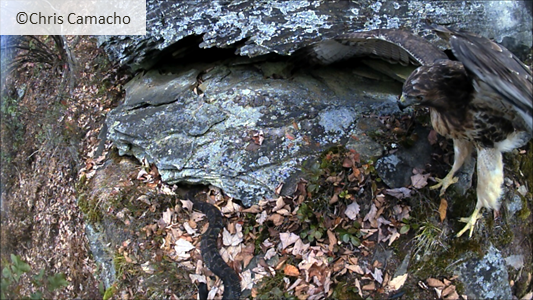 Red-tailed Hawk landing in front of a den site with a Timber Rattlesnake in front. Fisher checking out den site. These are some pretty carnivorous animals! Raccoon nosing around the entrance to the den. It appears it is really looking for something. 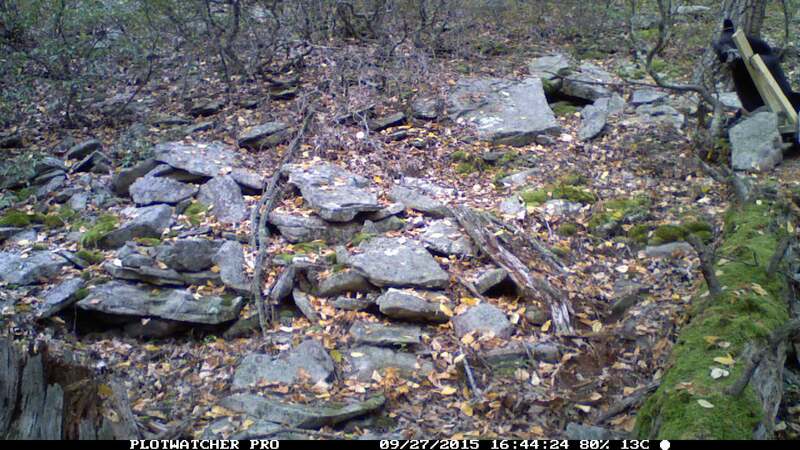 Momma Black Bear and her cubs walking past a Timber Rattlesnake den. 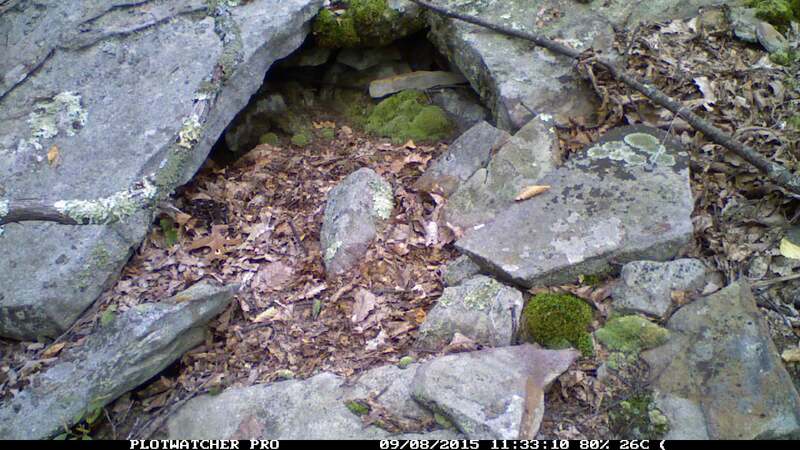 So this year, we staked out three den sites with field cameras. We placed two field cameras at each den site. 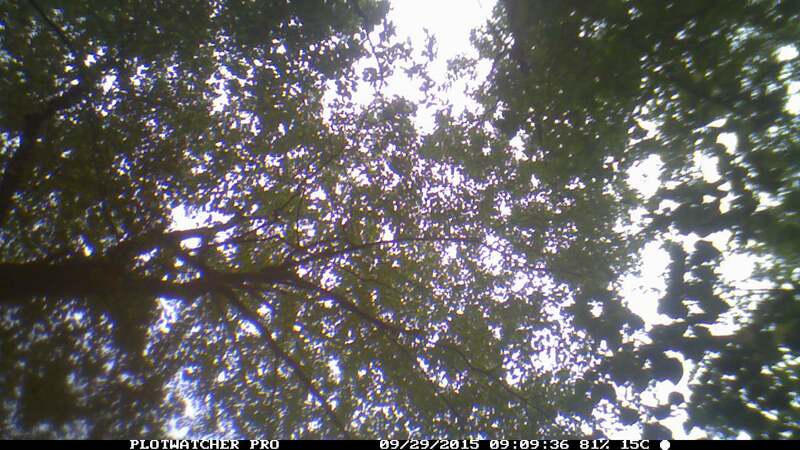 The one camera was on a tree about 8 meters from the den. 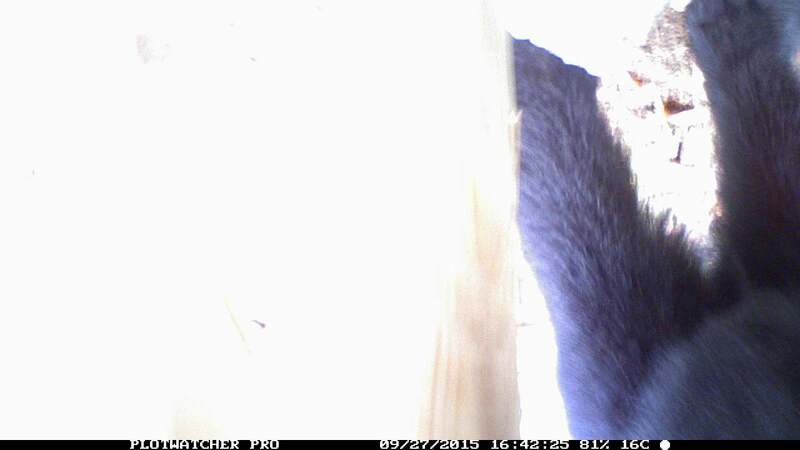 This camera would capture potential predators as they stopped by to visit the den. 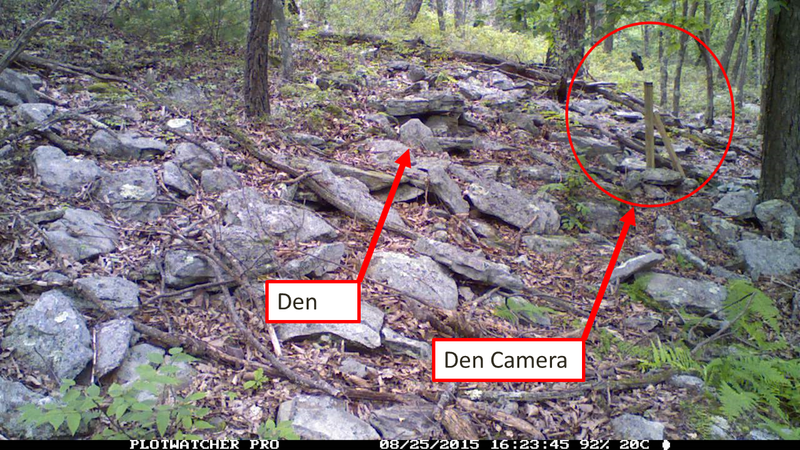 The second camera would be much closer to the den and capture the rattlesnakes as they moved in and out of the den. 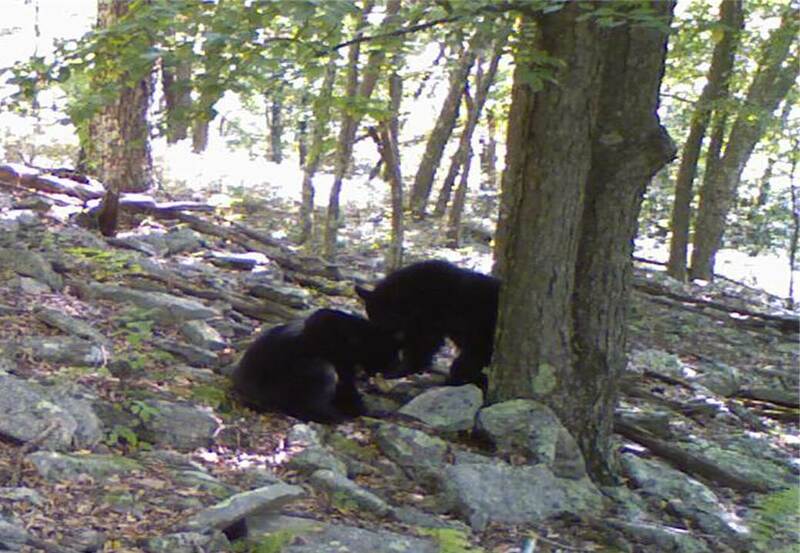 However, there was a problem with trying to put a camera so close to the den site… the problem was that there wasn’t always a tree right next to the den. Problem solved! I built a wooden stand that would support the camera and keep it focused on the den site. To standardize things, we used this wooden stand for all three den sites, but kept the second camera farther away on a tree (the picture below is taken by the tree camera and you can see the den camera in the background). 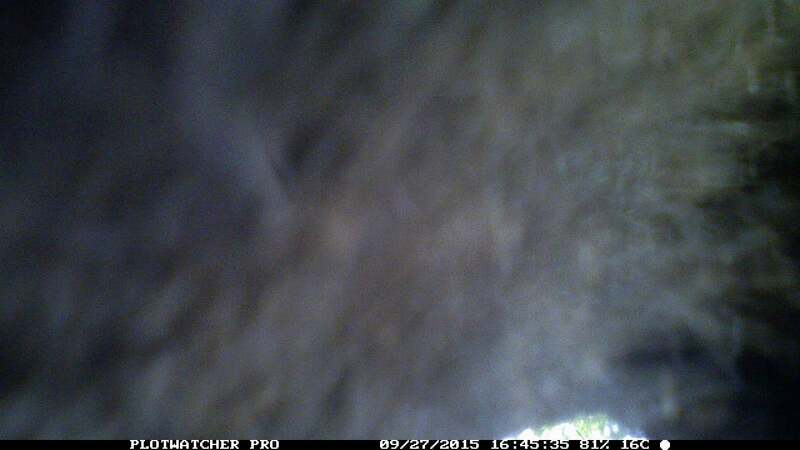 Camera positioned directly in front of rattlesnake den. This stand worked great. And we soon began to capture a few rattlesnakes as they came back to the den site. 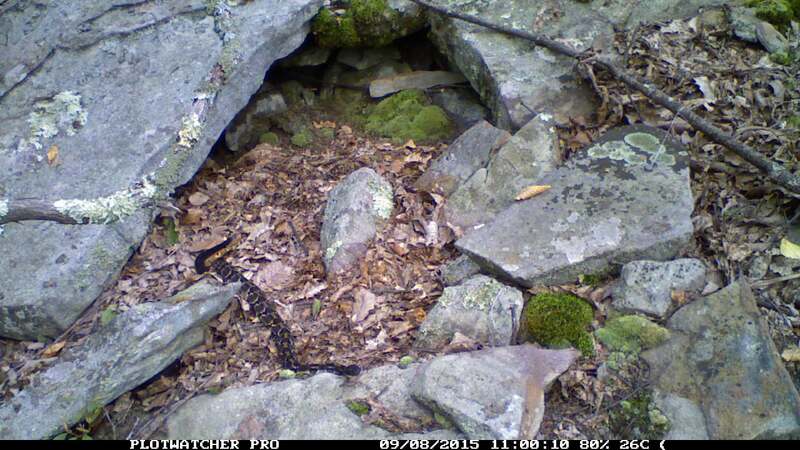 Timber Rattlesnake relaxing in front of den. Rattlesnake basking in front of den entrance. 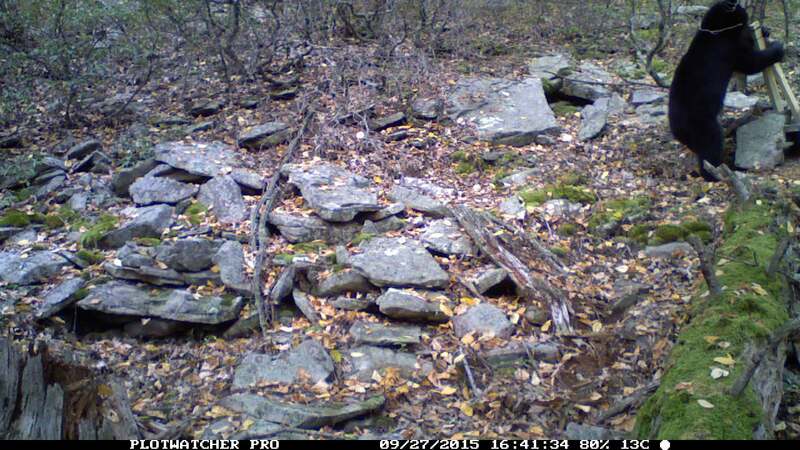 First Black Bear to visit one of the den sites. This was a nice bear. Thank you nice bear. And then the bears became jerks. 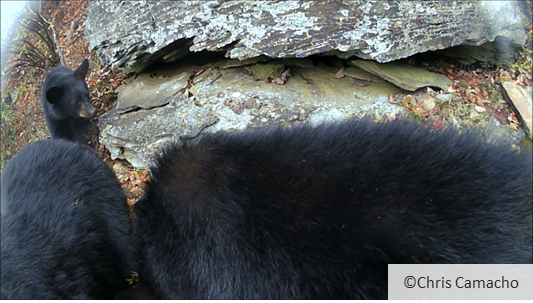 Black Bear sitting in front of camera and bending camera over so that it can gnaw on it. The camera was attached to the wooden stand by a thick metal bolt… the bears just bent these bolts like they were flimsy plastic… jerks. 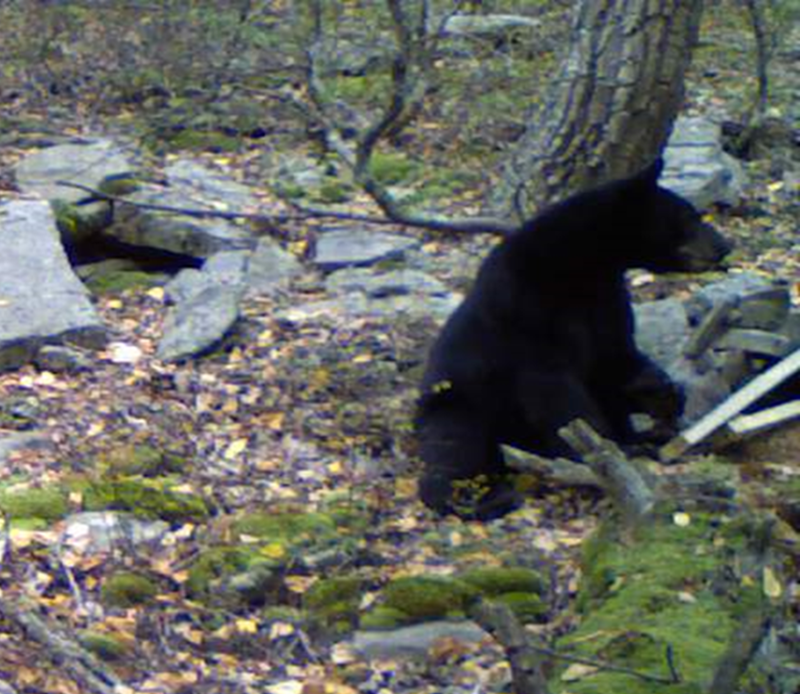 Bears even tag-teamed the camera at times! Not one, but TWO BEARS!!! …double jerks. Perhaps the bears just like to mess with novel items placed in their habitat. Bear sitting down and swatting the camera round and round. REALLY! 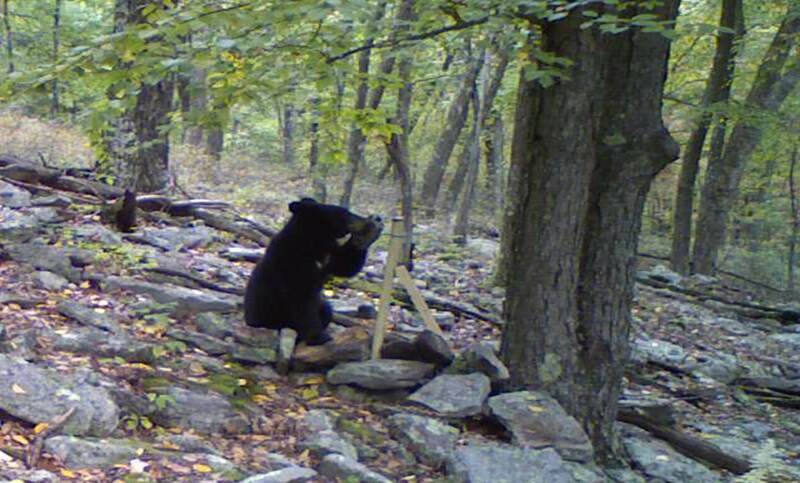 This bear just sat there for 10 minutes swatting the camera as it swiveled around and around on the bolt…. jerk. Perhaps the camera and stand actually look like some weird creature that lost its way in the woods. Maybe this is what the bears see? Regardless… we stopped seeing rattlesnakes enter the den…. We did get some great pictures of the backside of bears though…. Fuzzy Bear Legs. … jerk. I learned that I would have done things differently. If I were to do it all again (which I probably will), I would move all of the cameras to a nearby tree instead of a wooden stand. After four weeks of bears being jerks, this is exactly what I ended up doing. 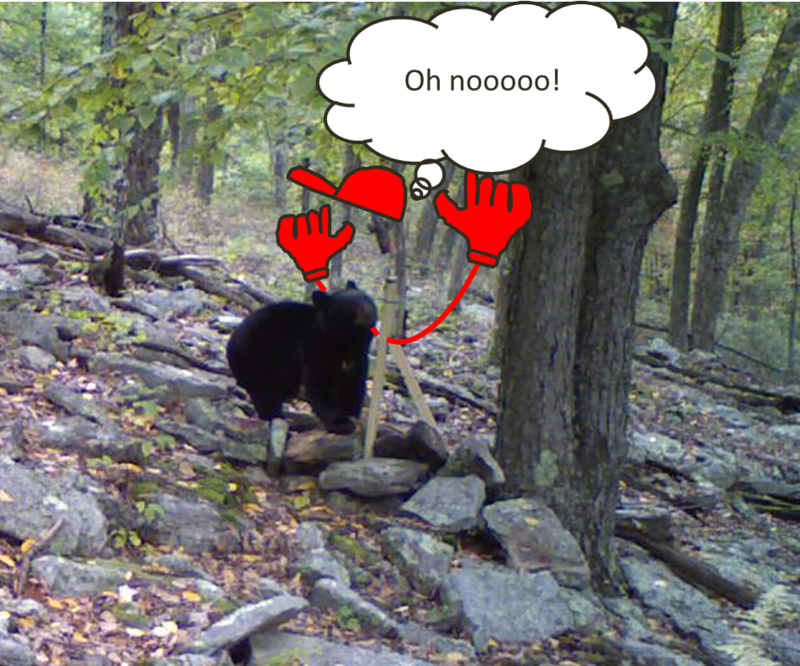 Okay, so bears are jerks. But we did see something interesting here. We placed the cameras out by the dens well before rattlesnakes began ingress. For one and a half weeks we didn’t see any rattlesnakes or bears. Then rattlesnakes began to come back to the dens, and it wasn’t until this time that we began to see bears visiting these same areas. So there does appear to be a correlation between rattlesnake timing of ingress and bear activity outside of dens. But are we seeing other potential predators? Well we don’t know yet. We have been too preoccupied cursing bears to review all of the videos. 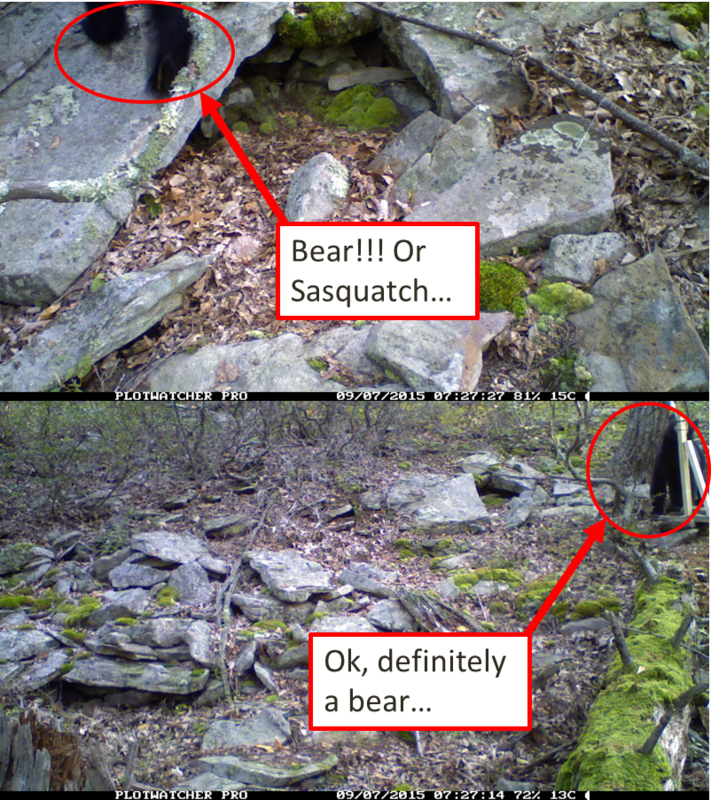 The bears did not mess with the tree cameras and perhaps we will see other potential predators visiting the den sites. We are excited to finish analyzing these video data and update everyone on what we find (look for Tommy Cerri’s blog post in the future). There is another interesting bit of information to digest as well: Bears have never been documented as a predator of rattlesnakes. But we have seen bears swiftly attacking rattlesnake models in the field (see previous blog post). We have also seen bears visiting other gestation sites and den sites. Would it really be too far-stretched of an idea for bears to attack and eat a rattlesnake? 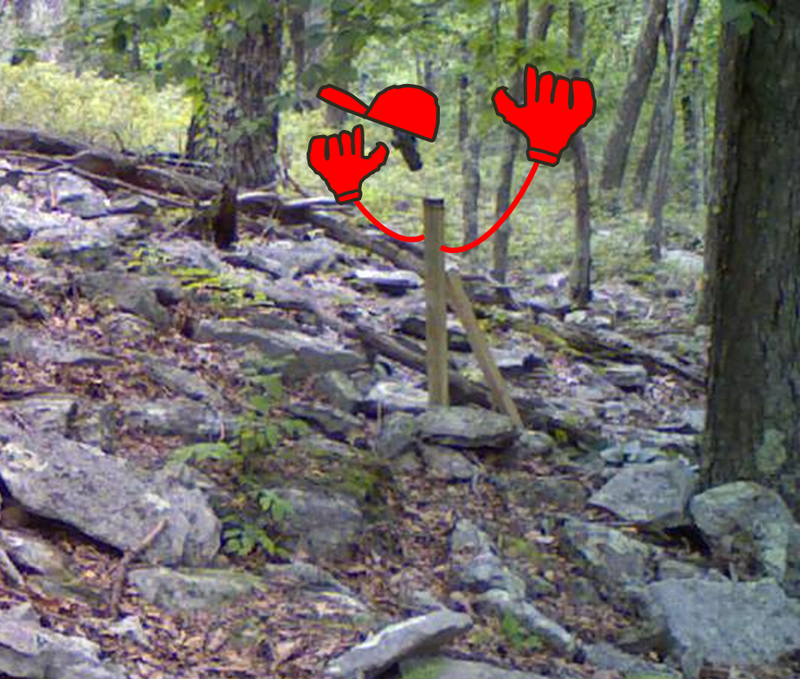 But there is the possibility that bears just like to mess with novel things that they find in the woods. There is also the possibility that whatever environmental cue drives rattlesnakes to return to their dens for the winter, also instigates bears to begin foraging for food (other than rattlesnakes) along the hillsides of Pennsylvania. Regardless, bears are jerks. Categories: Research in PA | Tags: bear, black bear, den, fisher, hawk, Predation, predator, raccoon, rattlesnake, Timber Rattlesnake | Permalink.